How involved was Cromwell in the downfall of Anne Boleyn? Was he the chief mover, or was he only carrying out the King’s orders? If he was responsible, why did he take such a drastic step? Dr Tracy Borman, Cromwell’s biographer, explores the issue, weighing up the evidence, and the political machinations to give us a very convincing explanation of events that led to Anne’s death. 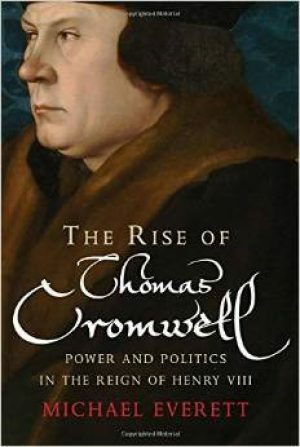 Cromwell, soldier, merchant, lawyer, politician and reformer, cut a swathe through tradition to begin the transformation of England from a mediaeval country within Catholic Christendom to a Protestant Nation State. His exceptional administrative ability made him indispensable to Henry VIII, and his political acumen helped him out-manoeuvre his many rivals. Like others before and after him, he eventually fell from power through entanglement with Henry’s matrimonial problems. In his youth, Cromwell travelled widely in Europe. After joining Wolsey’s household, he spent much of his time in and around the south-east of England, attending to Wolsey’s property matters. As Minister to Henry, he seldom went far from the King’s side. Cromwell has been a controversial figure for 500 years: ruthless schemer; visionary statesman; committed Protestant; destroyer of Queens and royal blood; saint and sinner. He was all of these and more, generous and supportive to friends, he made an implacable enemy.